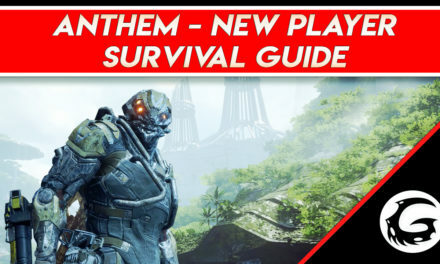 This title was reviewed on the PS4 Pro with a review code provided by 11 Bit Studios. 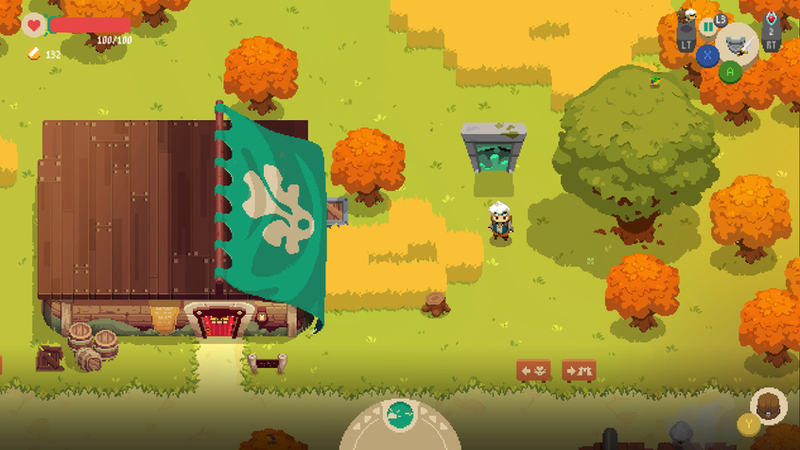 Moonlighter is a Roguelike action RPG. It also plays as a shop simulator. You play Will, a young boy who has been tasked with taking care of his father’s shop after he has passed away in the small village of Rynoka. 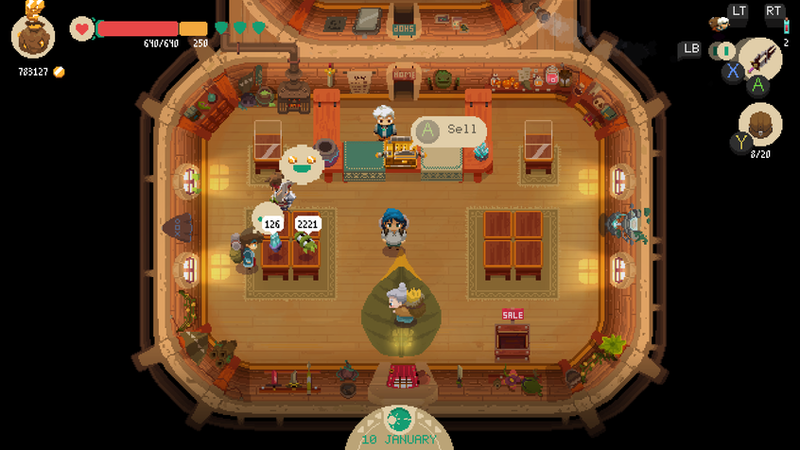 During the day you will run the shop and act as a normal shopkeeper. At night however you will get to live your dreams and raid dungeons and fulfill your lust for adventure. The graphics of Moonlighter are something to talk about. Sprites are designed very well and the animation is smooth as butter. Each areas has its own color scheme that really sets the mood. It’s easy to disguise items and enemies from one another which helps when dungeon crawling. Even tiny things like leg movement and hair flow are smooth and pretty cinematic if we say so ourselves. Moonlighter has a system that just works when it comes to gameplay. At night you have 5 dungeons that you’ll be working through in stages. 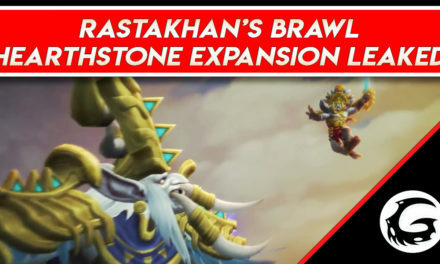 The main point of these dungeons is not to eliminate all enemies, but to collect as much loot as possible to bring back to the shop. Once back at the shop players will be able to place these items on the table and sell them off to customers. Your dungeon experience is only limited by the amount of greed you feel inside you. 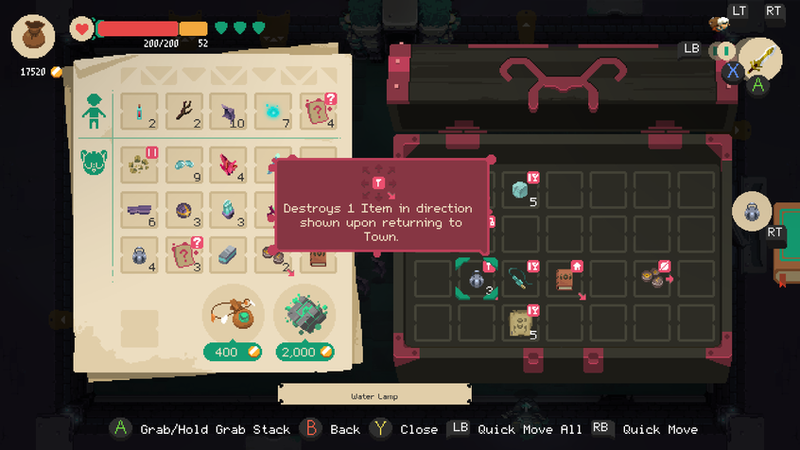 Moonlighter has a unique bag function that requires you to place items in your inventory in specific ways so they don’t destroy items adjacent to them. This in turn requires you to make strategic decisions about what you place in your bag and what to drop. After you think you’ve got enough loot you can head back to town and prepare for business. However you can still progress through the dungeon if you like, but be aware of your inventory space and health. If you die while in a dungeon, everything you’ve looted besides your money and currently equipped items will disappear. Your shop is entirely your own. You open the store for business and set the prices of all your items. After awhile you’ll get an idea of what customers are willing to pay for certain items. The goal is to maximize profits and sell as much loot as you can. With this money you can give back to your town. You can open new shops around town, decorate your store and of course buy new gear for dungeon crawling. After you’ve acquired a considerable amount of coin you can hire an employee to run the shop while you go dungeon crawling. That way the profits never stop as long as you keep bringing in that loot. Customers can even give you quests that require you to find certain materials and bring them back for large amounts of coin. You can also use materials you’ve found in a dungeon to make items yourself. 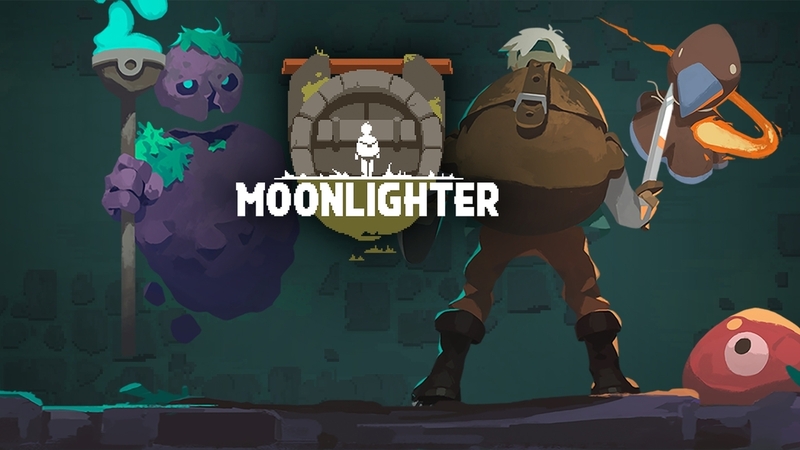 Moonlighter has a day and night cycle. You can choose to keep your store closed during the day and go dungeon crawling or go out at night after work. Although be aware, at night enemies become harder but yield a higher chance of dropping rare loot. You may miss out on some serious coin if you close the store during the day so make you your haul is full of valuable items. 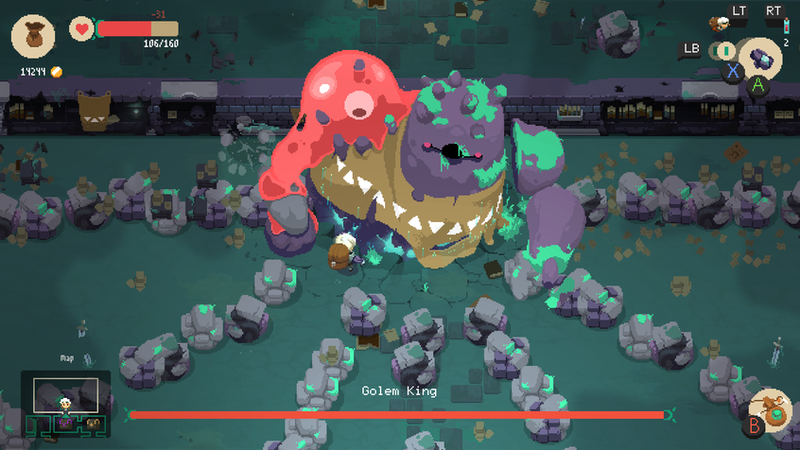 Combat is very basic in Moonlighter, button mashing and walk around dodging doesn’t provide the most engaging combat. Weapons you acquire have different attacks but that’s about it. Combat is still enjoyable especially when you find some rare items after mashing buttons for 20 seconds. 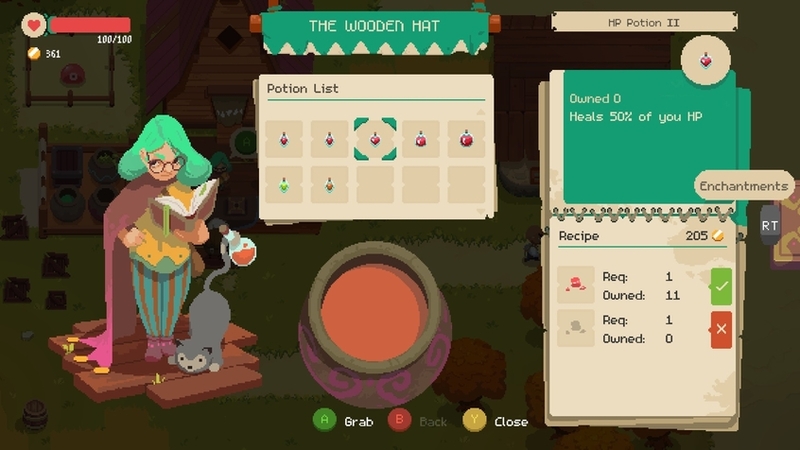 For what it is Moonlighter is a enjoyable game with a system that just works. Using the loot you’ve acquired from your nightly grinding to improve your town fills you with a sense of accomplishment. Having your own shop and filling it with the fruits of your labor is a sight to behold. 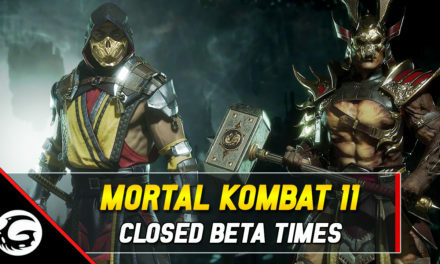 We do wish combat was a little more engaging and early on the game doesn’t offer much variety. 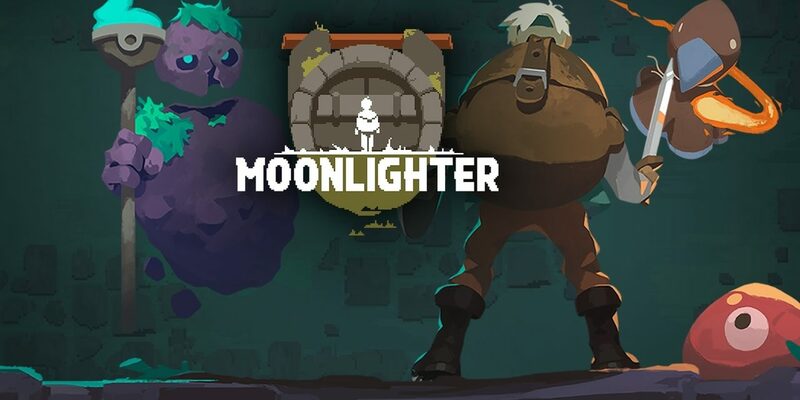 All in all Moonlighter is definitely an experience we recommend you try.